The role of a manager is to be a leader, because it is only when he or she leads his employees can the team as a whole succeed. One of the ways that a manager or employer can lead their team to success is to keep their employees engaged. When your employees are engaged, they actively participate and want to work for you, rather than simply going through the motions. You want to inspire them. You want to engage their creativity and their problem-solving skills. You want them to feel like a key component to the company. Newsletters are very easy to put together, and they can be key to keeping everyone in the company up to date with what is going on. This is a good email to send out at the beginning of the day so that you can help everyone know what is going on in the company and in the industry. When you give personalized, helpful feedback you are helping your employees improve. The key part here is to ensure your feedback is fair and critiques your employee, rather than bashing them. You want your employees to feel like they are doing a good job. Take the time to write these little reviews to help your employees know what they are doing right and what they can do better. When they’ve really wowed you, find a way to show your appreciation! A business lunch or even an award can go a long way. If you really want to create a great company culture in your office, however, consider starting a company website. This would be a separate website to the one your customers would use, and would be beneficial in keeping your employees updated on company news. This is where you can post new job listings and opportunities that your employees can apply for. This extra website does not have to require a fully custom design, either. You can minimize the website cost by using a third-party hosting company and a predesigned theme. Use this website to keep your employees connected and to share news and offers throughout your company with ease. It is detrimental to pit your employees against each other; you may find that your highest performing employees will try their hardest and your poorer performing employees will try less, feeling defeated. Instead of pitting them against each other, challenge them to beat their former selves. Milestone rewards can be for anything; it could be for working at your company for so long, for gaining so many new clients, and so on. The type of reward you give can range from a free lunch to a day off, to even a raise depending on your budget and the milestone your employee has achieved. If you want your employees to bring their best, they have to feel like their voice matters. Never be afraid to hear more opinions – in fact, having your opinion challenged is how you as a team can collectively move towards a better future. A meeting you can hold at the start of the week, for instance, could be to discuss and to share ideas. This meeting should bring in a representative from different teams throughout your company. A marketer could learn something from someone on your IT staff, and vice versa. Where your employees work will have a huge impact on their productivity and how they feel about working for you. This means sprucing up your office space, adding artwork, plant life, and improving your break room so that your employees enjoy being in the office space. You don’t want your efforts to be too distracting, but you want the space to be pleasant, clean, and organized. 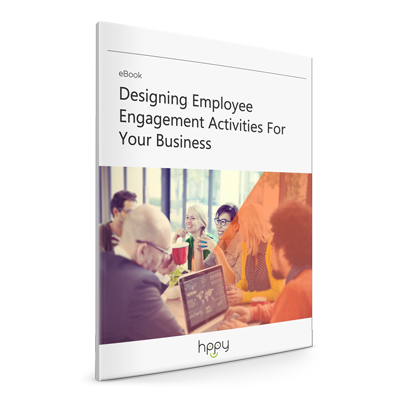 Keeping your employees engaged is all about valuing them and showing them that you value them. Work together as a team, and you can accomplish so much for each other and the company.